I have ran these workshops for several years, and they prove hugely popular. I have been asked to hold them again this year, and am excited that John is able to join us. local herbs and plants for healing. constant frequency of energy vibration. Quartz is used for these very properties in watches, computers, and much of the scientific precision equipment used in industry and in our hospitals, such as CAT scans, ultrasound machines etc. The lasers used in laser surgery are powered through quartz and so crystals are key to our most advanced surgical procedures. Human beings are largely made up of water, oxygen, some silicon and the remaining 5% or so is various trace minerals and elements. Since we are so largely made up of the same elements as quartz, we vibrate, on an energy level, at the same frequency when we are in perfect health and balance. When our energies are out of balance, through mental, emotional or physical dis-ease, quartz can bring us back to balance. John Spillman first learned hands-on energy healing in 2005; s began her training in Crystal Healing in 2005, and then took a 2-year Diploma in Crystal & Gem Therapy, qualifying in JUNE 2007. John has taught Crystal & Gem therapy practitioner training since 2008, and is also a qualified Reiki Master Teacher healer. With 2 years on committee of UK Reiki Federation. 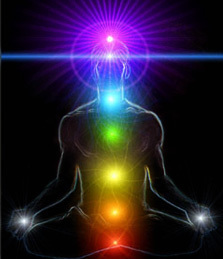 There are several levels to the crystal healing workshops... each one giving entry to the next level. If you are interested in completing all levels, please contact Dawn via the contact form.